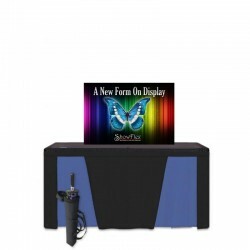 Now is the time to simplify your display needs with a tension fabric banner stand display. 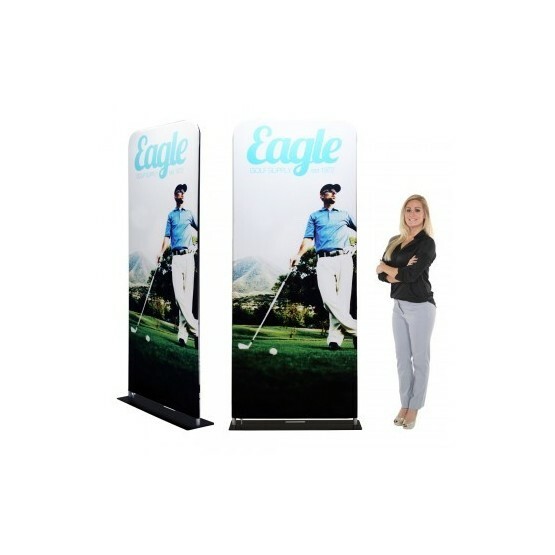 Available in full height and table top height, fabric tension displays will make your trade show experience easier. 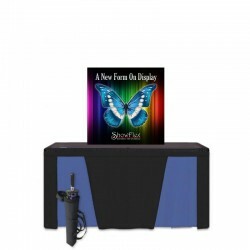 Includes full color dye sublimation printing from your artwork file. Freestanding tension fabric display includes full color dye sublimation banner, "umbrella" style hardware and carry bag. Set-up Size: 92" wide x 92" tall. Weight: approx. 12lbs. *Shown with Optional EconoPak Case. 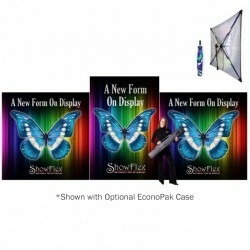 Freestanding tension fabric display includes full color dye sublimation banner, "umbrella" style hardware and carry bag. Set-up Size: 108" wide x 72" tall. Weight: approx. 12lbs. *Shown with Optional EconoPak Case. 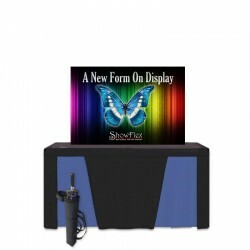 Freestanding tension fabric display includes full color dye sublimation banner, "umbrella" style hardware and carry bag. Set-up Size: 72" wide x 108" tall. Weight: approx. 12lbs. *Shown with Optional EconoPak Case. 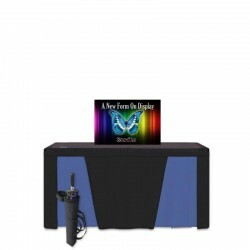 Freestanding tension fabric display includes full color dye sublimation banner, "umbrella" style hardware and carry bag. Set-up Size: 256" wide x 108" tall. Weight: approx. 24lbs. *Shown with Optional EconoPak Case. 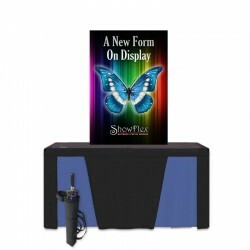 Be the talk of the trade show with the ShowFlex ultra portable trade show display or banner stand. 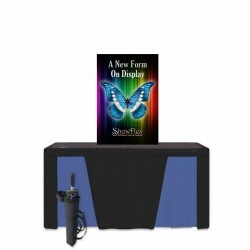 The ultra lightweight fabric banner remains attached to the hardware when folded making set up within seconds and folding down as easy as an umbrella for maximum portability. 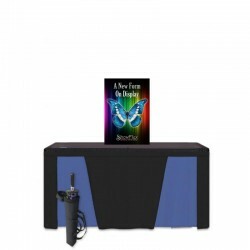 Includes full color dye sub printed fabric banner on a wrinkle resistant knit fabric so you never have to worry about wrinkles since your banner is pulled taut by the hardware. Optional lights are available for added exposure. Setup is a breeze with it's no tool assembly! And when the display is packed away, the tension graphics remain taut to prevent wrinkles from forming. 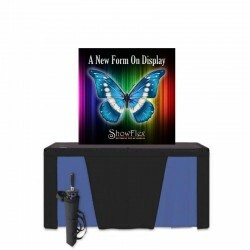 Shop all Showflex sizes below and really stand out at your next trade show! 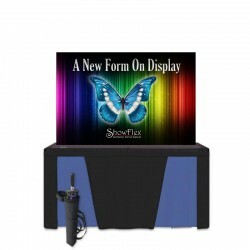 Weighing less than 6 pounds, the ShowFlex eliminates you're current pop-up style display with a display that stands out just as much. For set-up, simply slide the hub to unfold the arms, lock the hinged leg and you are ready to show.